I can't believe it's been a month since my last blog post at the Ice cream festival but time has a way of slipping through your fingertips. It's not that I haven't been doing some fun stuff, it's just I've had a lot going on and a computer that was conspiring against me. Now that my class is over and I have a fancy, well running computer, things should move forward in the way I'd like them to. Big things are on the horizon so I have lots of future posts and goals planned but for now I'll just show you what I've been up to for the last month. One of my sisters in cheese, Erin Clancy, came for a quick visit to Seattle and we wandered around seeing the sites and eating some tasty food. 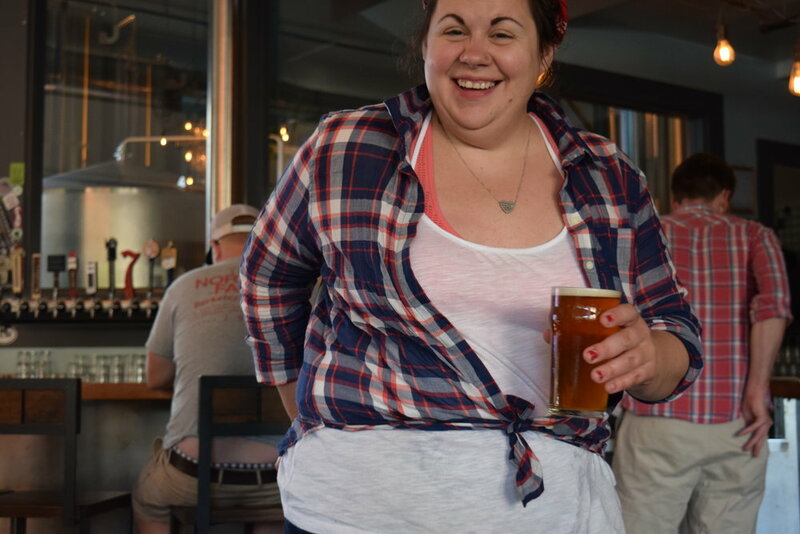 We went to Hellbent brewing, which is in my neighborhood, for dinner and beers. They have different food trucks everyday and this one was Papa Bois, a Caribbean sandwich place. My neighborhood is not really known for great food or beer but Lake City has some new friends that are upping the "cool" quotient. 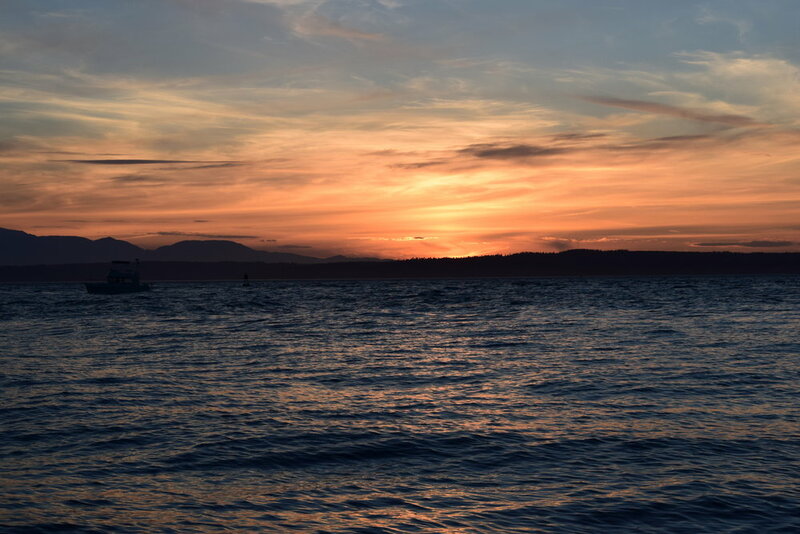 We hit up the gum wall and DeLaurenti's while we were downtown and made our way to Golden Gardens at sunset with the dog. It was a great evening and it was nice to hang with someone that is somewhat in the same boat as me cheesemonger/work wise. We have a similiar background with Whole Foods and now we are both in places where we don't get to be so hands on with cheese but we are finding ways of staying in the game. You'll be seeing many more pictures of her at the end of July when we reconvene at The American Cheese Society conference. We've filled an AirBnB house with Cheesemongers and it's sure to be a sight to see. I've spent the last few months in an Entrepreneurship bootcamp working on getting some stuff together to open a shop in the future. It was an intense experience because it changed our lifestyle quite a bit. Four nights of the week I was sitting in class from 6-9pm for two and a half months. Our last night together was a potluck and of course, I brought a cheese plate. Needless to say, it was bittersweet evening since I had really begun to get to know and enjoy the other people in my class. Lastly, I enjoyed an event put on by Seattle Made that was a Food and Beverage connection. With the thought of opening a business, these things are a good way to get my name out there and to see what kinds of products are being produced right here, deliciously. I was already familiar with most of the vendors but it was nice to take some cards and to try the full line up of what they offer. All of this didn't even come close to encompassing all the things I did but it's a good snapshot of all the food events and things I've done. There is so much more coming so I hope you'll stay tuned! Sometimes the cheese finds you.